Rapsody is an American rapper who has become a force to reckon with in the rap game. In only ten years, she has released two full-length albums, four mixtapes, and two EPs. She has also worked with some of the biggest legends and newcomers in the business including Kendrick Lamar, Erykah Badu, Raekwon, Big Daddy Kane, Mac Miller, and Big K.R.I.T. In 2018, Rapsody became the fifth woman ever to be nominated for a Grammy award for the best rap album. She achieved this feat with her second full-length album, Laila’s Wisdom. Who’s Rapsody – The American Rapper? Rapsody, real name, Marlanna Evans was born on the 21st of January 1983 in Snow Hill, North Carolina. Growing up, her dad was a mechanic and her mom, Margaret was an artist. Rapsody’s journey into rap commenced via poetry. As a teenager, she wrote poems to release pent-up emotions and fell in love with renowned poets such as Maya Angelou and Nikki Giovanni. Initially, Rapsody wasn’t a big fan of rap music but her cousins introduced her to artists such as Lauryn Hill, A Tribe Called Quest, and NAS. Subsequently, she fell in love with rap and started nurturing the dream of being a rap artist one day. 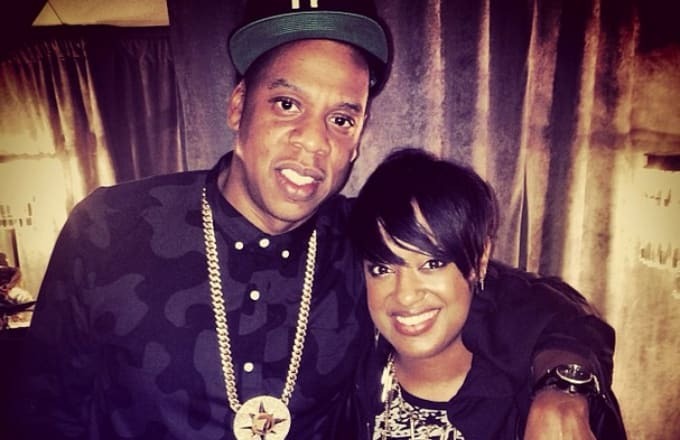 Despite her love for rap, Rapsody didn’t have enough confidence to pursue it seriously. It was while in college at North Carolina State University that her friends encouraged her to give it a shot. She, therefore, joined a hip-hop collective named H2O as well as its spinoff Kooley High. With the group, she released three Eps between 2008 and 2011. Her first big break came in 2005 when H2O met up with renowned hip-hop producer and rapper, 9th Wonder. 9th Wonder, who has worked with artists such as Destiny Child and Jay Z, listened to her short tape and immediately recognized her potential. He took her under his wings and taught her what she needed to know in order to brush up her skills. He also gave her a feature on his 2nd album, The Dream Merchant Vol 2 in 2007. In 2008, 9th Wonder officially signed her to his record label, Jamla and Rapsody released her first work, a mixtape titled Return of The B-girl in 2010. She followed it up with two more mixtapes, Thank H.E.R Now and For Everything in 2011. She released her first full-length album titled The Idea of Beautiful in 2012. Till date, she has released a total of four Mixtapes, three EPs, and two full-length studio albums as a solo artist. Rapsody got her second big break in 2015 when Kendric Lamar featured her on Compilation, one of the songs in his highly acclaimed 2015 album, To Pimp a Butterfly. The dynamic verse she dropped on the song fully launched her from an underground artiste to a mainstream artiste. The talented wordsmith did not rest on her laurels but continued working hard. She went on to sign a record deal with Jay-Z’s label Roc Nation in 2016 and released her second album, Laila’s Wisdom in September 2017. Laila’s Wisdom is a 14 track album which is named after her grandmother Laila Ray and boldly deals with issues such as war, drug abuse, mass incarceration, gender dynamics, and police violence. The album received favorable reviews from critics and rapper Busta Rhymes hailed it as the best album he had heard in the last 10 years. Laila’s Wisdom was described as a combination of old-school classic hip hop and new school funk driven energetic sounds. In 2018, it was nominated for best rap album alongside 4:44 — Jay-Z, Damn — Kendrick Lamar, Culture — Migos, Flower Boy — Tyler, the Creator. Sassy, one of the tracks on the album, was also nominated for the best rap song. With the nomination, Rapsody became only the fifth woman ever to be nominated for the best rap album. Even though she did not take the crown, there is no doubt that she is one of the strongest and most promising forces in today’s hip-hop culture. Most recently, she was named one of the top female artist to know by both TIME Magazine and USA Today. She was also named one of the 20 Greatest Female Rappers of All Time by XXL. Being a woman, it is not surprising that most of Rapsody’s biggest musical influences while growing up were equally female rappers. She loved the works of artists such as MC Lyte, Queen Latifah, Lauryn Hil, Lil Kim, Foxy Brown, and Jean Grae. Rapsody is one rapper who has refused to be defined by her gender. She doesn’t believe female rappers should compete against each other but believes that women can rap against the very best and still come out on top. One thing to note about Rapsody is that she is a rapper who does not focus on commercial music but focuses on socially conscious music. Rapsody has previously spoken about the financial difficulties she faced while trying to build her career. According to her, she had a day job selling shoes in order to complement the little money she earned from gigs and features. She also occasionally pawned her items in order to make ends meet. There is no doubt that with her Grammy nomination, a record deal, and increased popularity, things are much better for her financially. Her net worth is not available at the moment as it is still under review. However, you can trust that we will update you once it is available. See Also: MC Lyte Bio, Net Worth, Is She Married, Who Is Her Husband Or Boyfriend? Boyfriend or Husband, Is Rapsody Married? At the moment, Rapsody is not in any relationship that we know of. She admitted that she was in a relationship while working on her second studio album, Laila’s Wisdom, but said that the relationship is now over and that she is single. You can trust that we will let you know once that status changes.